The proliferation of television commercials, billboards, and newspaper ads from shady car dealerships offering shiny new rides at rock bottom prices signals the impending tax season. Another indication of the time of year is the countless advertisements from tax preparation agencies promising quick and easy income tax filing with an immediate refund. Yes, the dreaded season is upon us! It’s the time of year (January-April) when low-income and working class individuals and families receive an immediate lump sum of money—in most cases, thousands of dollars—in the form of an income tax refund check. And along with this refund comes a temporary middle class lifestyle—cars, electronics, name brand clothes, personal pampering, and maybe even vacations. Our (Black) communities are particularly prone to this seasonal middle class-ness. Consider a minimum wage employee making $7.25 an hour for full time work. It would take her almost four months to gross the amount of the average tax refund during the first four weeks of the 2014 tax season, $3, 034. Imagine the thrill she likely feels when she receives this amount or more at one time! It should come as no surprise, then, that she indulges herself and her family in a little luxury—gifting herself with a new car and her children with new clothes and video game systems. These are middle class privileges from which she is denied during the remainder of the year when she toils to make ends meet. Similarly, mothers who were unemployed the previous year and perhaps utilized government assistance sometimes get in on these tax windfalls as well. Not eligible to file a tax return because they didn’t pay any taxes into the system, they oftentimes allow an employed tax filer, often a relative or friend, to claim their children as dependents. This is provides benefits for both the filer as well as the unemployed, as she will receive part of the increased refund the filer would otherwise not have received without her assistance. Many people judge how low-income families choose to spend their refunds—wondering why they spend them on in-the-meantime splurges instead of putting the money in savings or paying down debt, as most Americans do. However, many fail to understand that these families use this money to buy things that many salaried people can afford to purchase all year long. Before we go pointing our fingers at these families for wasting their money on temporary pleasures and before we begin blaming them for their socioeconomic status, let us remember that we live in a White supremacist, patriarchal, capitalist society in which the black family has been historically disenfranchised in ways that still impact our socio-economic outcomes. This is especially true for Black women from low-income backgrounds, who often have to assume a breadwinner role as well as still being the primary caretaker, not to mention dealing with the long reaches of racism, classism, and sexism that impact nearly every aspect of their lives. Although Black women are being rightfully recognized for our academic accomplishments, our degree attainment does not necessarily lead to increased income and wealth. The poverty rate for African American women is 28.6 percent. In comparison, the poverty rate of white, non-Hispanic women is 10.8 percent. These women desire what most of us want—to enjoy nice things—and they shouldn’t be indicted for how they choose to spend their money during and after tax season. The difference between Black women who are poor or working class and Black women who are middle or upper-middle class is that the latter have been able to attain education, careers, and social capital that allow us to purchase material possessions on an ongoing basis, not just during one specific time of the year. We have managed to make an oppressive system work for us. But we must this is not the reality for many Black women in the U.S. 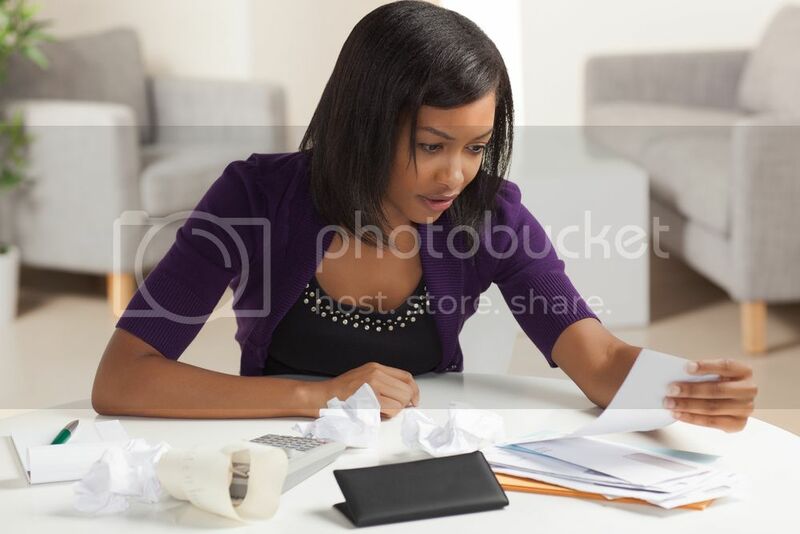 The actions of some low-income and working class Black women during tax season illuminate the plight of our sisters in their everyday existence. If we look beyond their tax season spending habits, we see women who continue to fall victim to White supremacist, patriarchal capitalism. And those of us who are committed to social justice must not be elitist in our efforts to dismantle racism. Instead of upholding respectability politics, we must continue to address systemic structures that present economic barriers to Black women who are poor. This is the most impactful way to elevate our sisters’ seasonal middle class status to a more stable socioeconomic position. Because of if even one of us is struggling, then we’re all struggling. And that means we’ve still got work to do. Altheria Gaston is a doctoral candidate in the College of Education at Texas Christian University. She is a Black feminist who’s motivated to make education more equitable for children from marginalized communities.